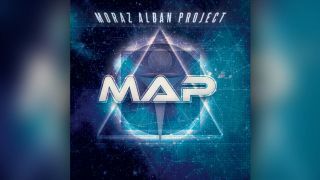 Patrick Moraz has released his collaborative album entitled Moraz Album Project – or MAP for short. The pair – who first worked together on Moraz’ 1984 album Timecode – are joined on the new release by bassist John Avila (Oingo Boingo) and percussionist Lenny Castro (Elton John, Eric Clapton), as well as guests Matt Malley (Counting Crows), Dave Van Such and Patrick Perrier. The album is on sale now via the MAP website.